My work as a textile artist is inspired by the landscape of the Waveney Valley, where I live, and the Suffolk Coast. Working with fabric and stitch I create large and small textile art for the wall often incorporating my own photographs printed onto cotton, linen and silk. I also stitch fabric books, which are tactile and encourage the reader to handle the pages and enjoy the look and feel of the stitches, as well as holding objects and memories in an imaginative, material world. I love fabrics, having gathered an eclectic mix from home and abroad, and use them to convey the rich textures of the landscape surrounding me. I offer textile journal making workshops in my home overlooking the River Waveney, where you can enjoy exploring fabric and stitch creatively, using my vast collection of textiles. SatNav will take you to the wrong house. 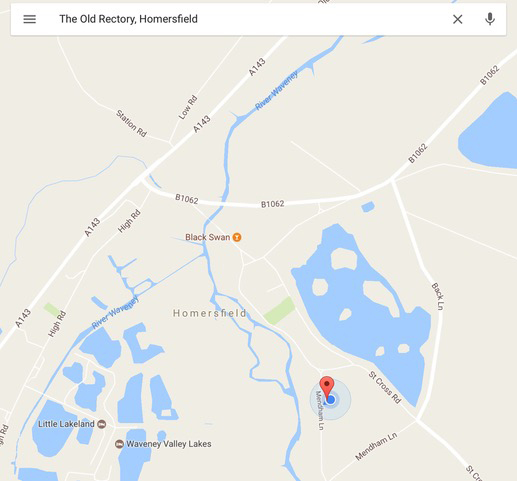 Please drive through Homersfield village and turn right at the first sign post ‘Mendham 2’. My house is just 10 yards along this small road, marked with HWAT signs.